I have obviously too much time on my hands... so I thought I post here. I can't do a proper CV / intro, so let's play a game. You ask questions, I answer them. ANY questions, whether it be mundane topics, WOT related or not, western philosophy, or my favourite; The Juice and Its Derivatives aka. means of escapism for a man with an itchy brain. Pleasure to be on board. Special thanks to my MAIN MAN sword_of_damocles, who got me the job I always wanted. Favourite tanks: T-50-2 (RIP), BT-2, Pz I C, Luchs, Pz III, Pz IV, M4, pretty much the whole Russian T-series (except T-43 after they took IDIOT gun off it ), T29, USA TD line from T18 to Hellcat (yes, all of them), SU-85B... is this a bit too long of a list already? Motto: "If you can't lick em, lick em"
First question - where do flies go when it rains? Second question - Why can't women put on mascara with their mouth closed? Third question - where does your lap go when you stand up? montyburns1982 wrote: First question - where do flies go when it rains? skudakoi wrote: Second question - Why can't women put on mascara with their mouth closed? A: The little elves that make their booty shake come out via the mouth, once mascara is applied it's OK to let them back in. Dustybin wrote: Third question - where does your lap go when you stand up? Thanks guys, for brilliant questions... made me and my mate laugh hard, now that we are gathering our dusty corpses off the floor. Too bad I can't do WOT this weekend because of this visitor... but we are going to have fun by 'other means'. Feel free to keep those questions coming, I will be spraying bursts of soda on my monitor again some time tomorrow. Next question - why do people in wheelchairs wear trainers? Another question - Why isn't the word phonetic spelt how it sounds? Should Contraceptives be used on all conceivable occasions ? 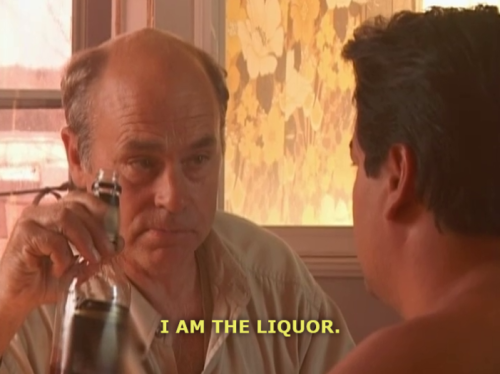 How much liquer is enough,Jimbo?? What happens when one runs out of alcohol (or fuel if you prefer)?